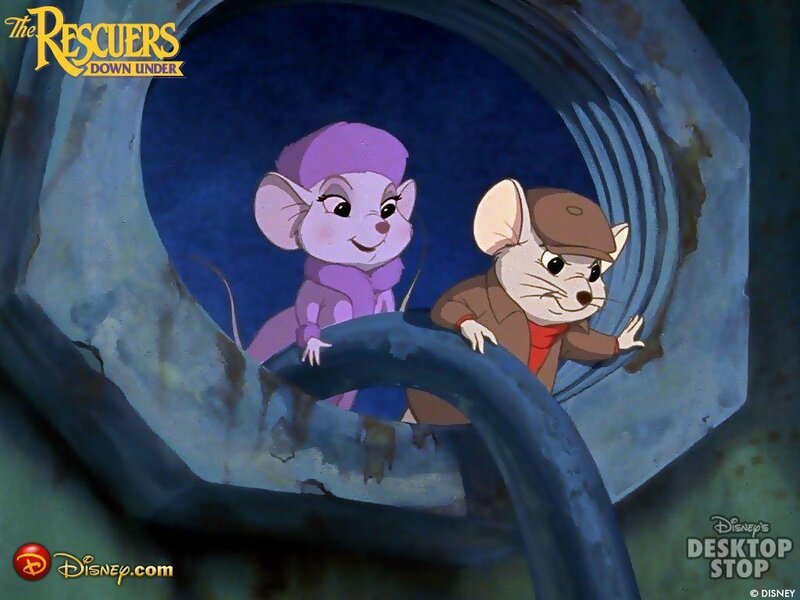 The Rescuers down under. . HD Wallpaper and background images in the Disney club tagged: disney. This Disney wallpaper might contain signe, affiche, texte, tableau noir, tableau, affiches, rue, scène de ville, milieu urbain, ville, scène, urbain, cadre, mise en scène de rue, anime, bande dessinée, manga, and dessin animé. She has a pretty purple outfit on! That would be great for her to wear to the party! That has a nice sound to it! I'd like to wear a purple princess dress to the party! Aurora prefers Pink no ? Pink and purple : Nice marriage ! Yeah, those colors go great together!